Make your life easier by creating these amazing DIY projects. 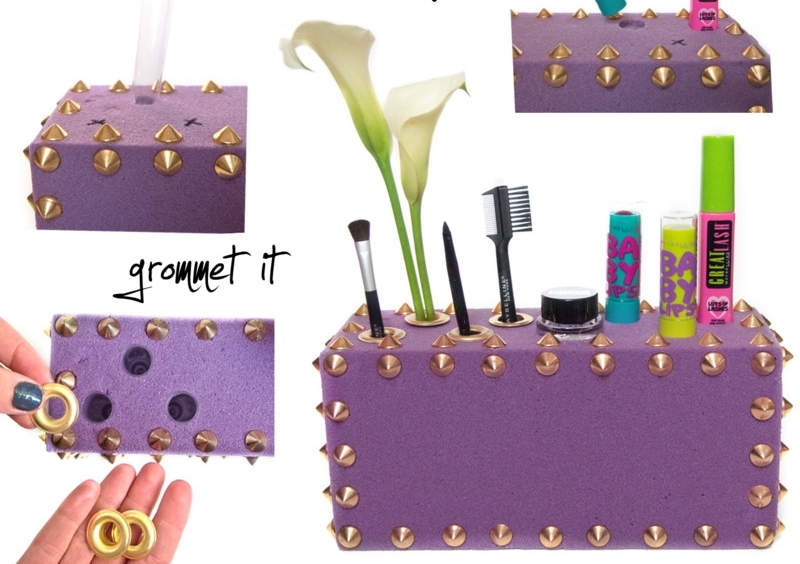 The mess in the basket with make-up can be gone now by following our 7 DIY Make-up Storage Ideas. They are fun to do. I’m sure that you’re going to love them. Your daily make-up routine will become shorter for sure, believe me! Now you can easily find what you’re looking for without having to dig in the bags. Organize all your stuff so that it can be visible and accessed easily. Find an old frame, buy some magnets and glue them to the back of every eye shadow, bronzer… To organize all that brushes, eye liners and lipsticks find a container and glue more magnets to it in order to hold the things strong and secure. This tutorial is very easy. 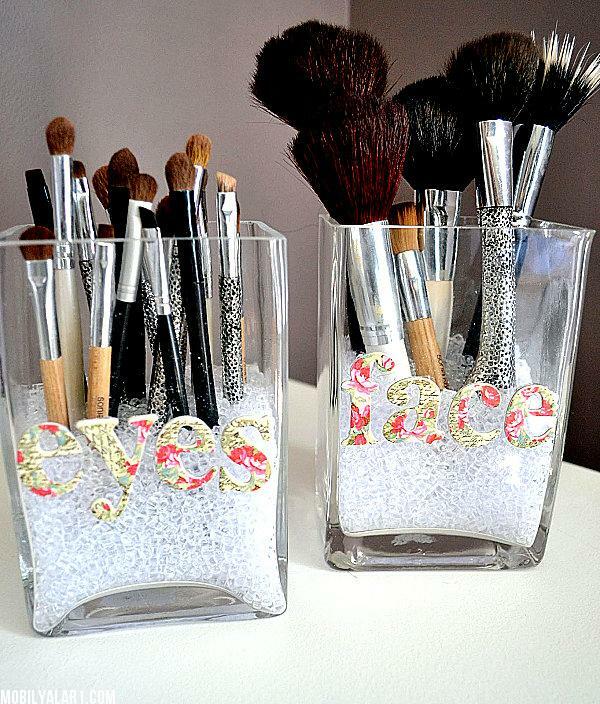 All you need to store your make-up is jars, cut-out letters, glue and beads to hold the brushes upright. You will have a quick access to your brushes and they will be easy to find. This is a great way to upcycle the jars you have at home. Attach string on both sides. If you want you can decorate the “naked” jars by wrapping around some colorful paper and putting on some ribbons. 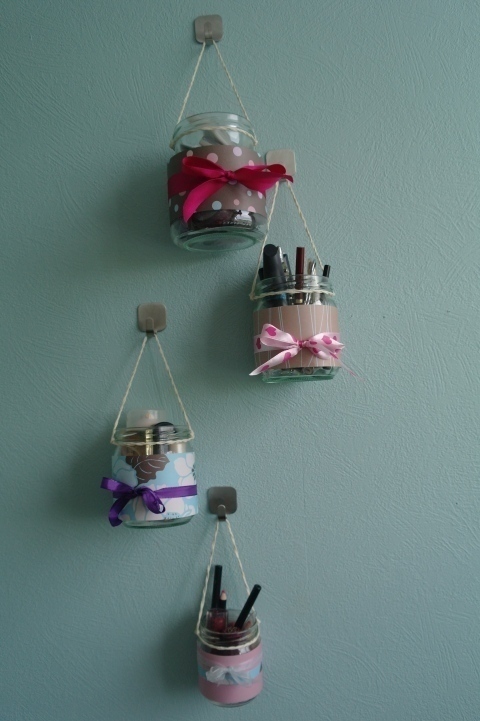 Put your make-up in the jars, buy some hooks and hang them on the wall. It is a very easy DIY project. You will need a piece of wood and a drill. You won’t have to spend any money on it. 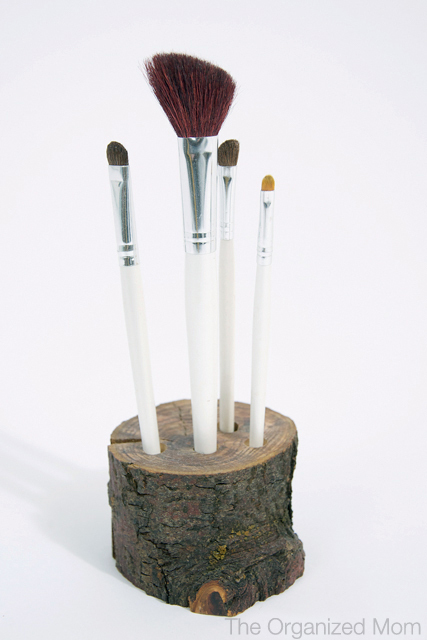 Make as many holes as you need and your brushes will stand upright. 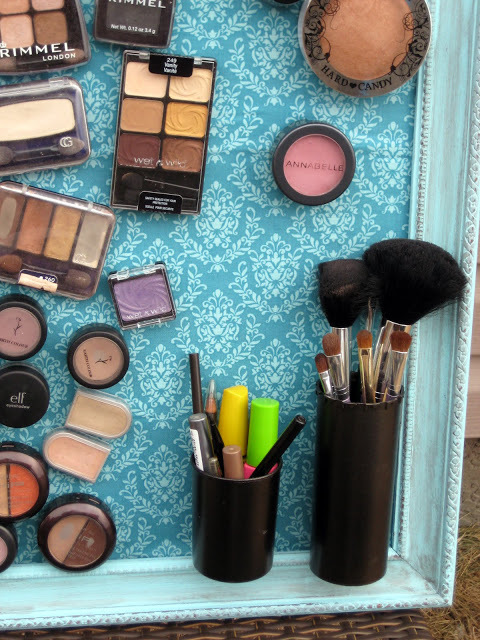 Find your favorite materials and make this wonderful case for make-up storage. 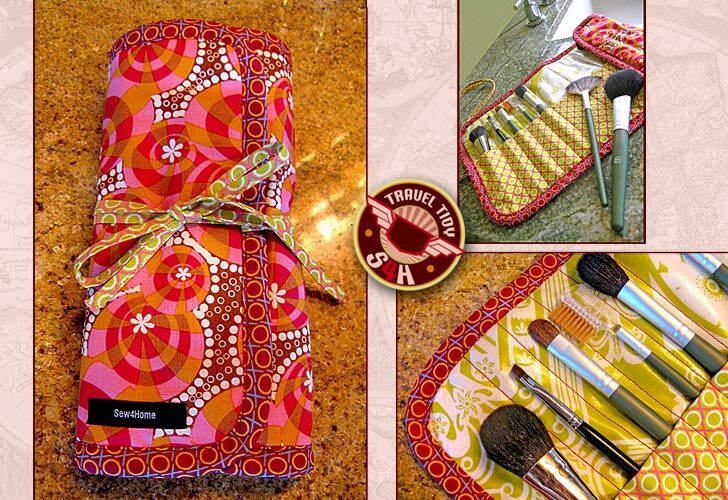 You will need to use a sewing machine and you can easily create pockets as you desire. You can make a good use of it when you are travelling too. Choose the color that goes with the theme of your bedroom or bathroom. To decorate it you can use studs, laces, charms or maybe some other fabric. 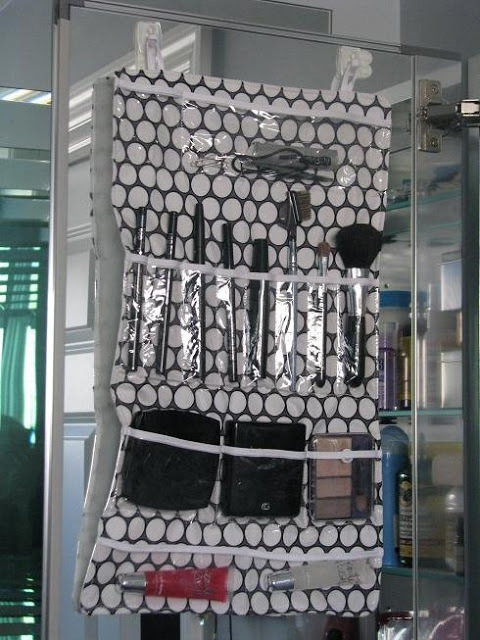 Instead of having your make-up crowded in a small bag organize it this wonderful DIY project. You can choose the materials you want to use and also the shape of the pockets. What is more, you can make it in such a way that it can be easy to roll and take it with you while travelling. Now that you have organized your make-up, you’ll be able to find things quickly and use different make-up products more often. Enjoy the art of make-up!